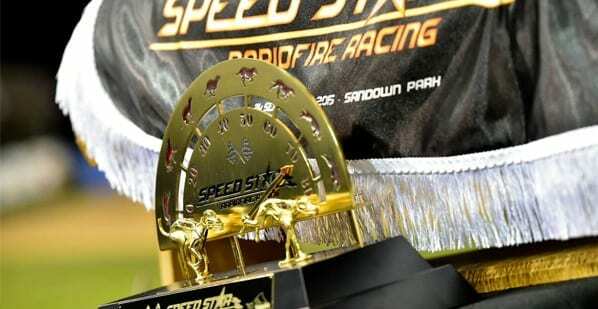 TWENTY head-to-head races held in rapid succession, just eight minutes apart, will be the highlight for punters at Sandown Park this Sunday as the track and local Government kick off its Speed Star Super Sunday. The Victorian State Government, using a $15,000 package from its Victorian Racing Industry Fund, will help sponsor the twilight meeting, which will also include a variety of on-course entertainment, live music, a children’s games room and a tipping competition. Racegoers can enjoy complimentary finger food throughout the evening and share in a range of Speed Star merchandise and other giveaways. The Sandown Greyhound Racing Club is providing more than $28,000 towards the night. Quoting figures highlighting his Government’s support of the greyhound racing industry, Minister for Racing, Martin Pakula was excited about the format for the meeting. “The 2018 Speed Star Super Sunday is an innovative race meeting, which is about attracting even more people to the greyhound racing industry,” Pakula said. Since 2014, the state Government has provided more than $862,000 to support two infrastructure projects and 26 greyhound racing events at Sandown Park. Sandown Greyhound Racing Club Chief Executive Officer, Greg Miller, was excited ahead of what could be a landmark night for the venue.